Craving olives today so I made some olive bread! Super easy to whip up with some active dry yeast. I enjoyed it with some warm tomato-basil soup! Add the packet of yeast & sugar to the warm water, stir to dissolve then let it sit for 15 mins to bubble up. In a medium bowl, pour the flour, salt & Italian seasoning. Stir to combine. Slowly mix in the yeast mixture & olive oil, mix with your hands slightly just to incorporate the ingredients. Chop the olives into smaller rounds, throw almost all of them into the flour mixture, leaving some for the top of the loaf. 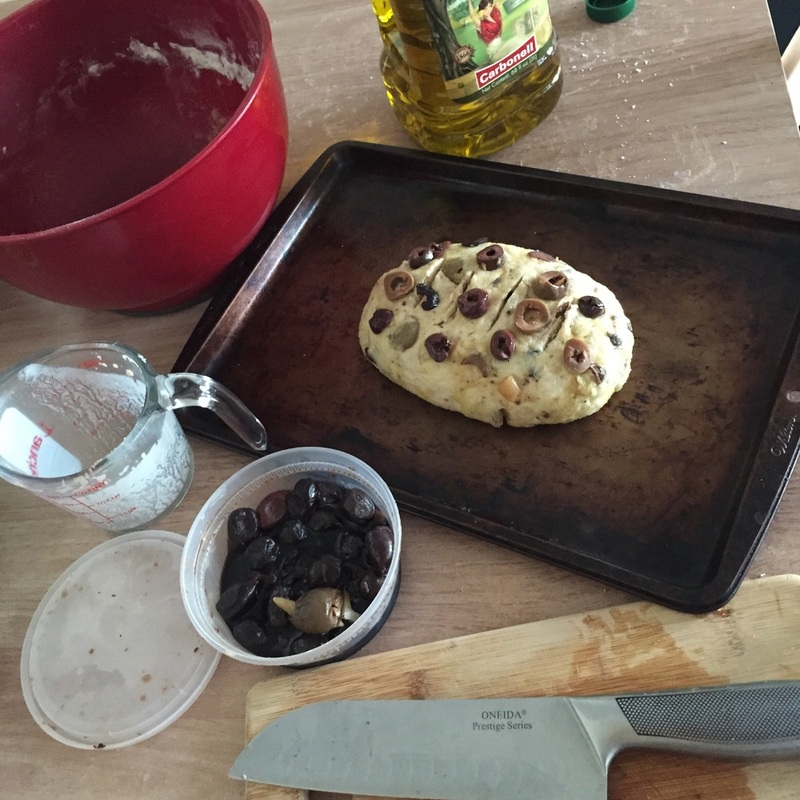 Knead the olive dough completely & form into a loaf with your hands. Set it on a cookie sheet & cut 4 small slits on the top. Garnish with the remaining olive slices, pressing them in so they stay put in the oven. Bake on 350 for 45 minutes - 1 hour or until golden brown on top, and cooked through the middle.